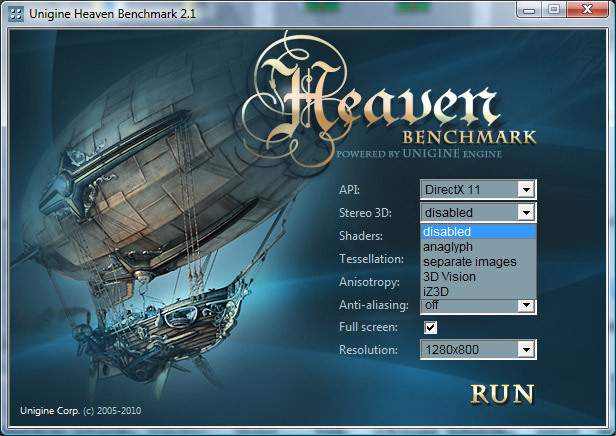 Does not work with my GTX 260 drivers 197.45 windows 7 64 bits. min. 5 fps faster with everything on the highest setting. “Separate Images” setting runs 2 copy of the program for you at the same time with slightly different camera positions (as you should see with your left and right eyes). First I ran it at fullscreen and saw no difference as you said. Then tried in windowed mode (with 640×400 res) and I got 2 windows (both started on the middle of the screen, so only saw there are 2 when I moved the top one). One is named Primary other Secondary window, so I guess it would work with 2 screens also in fullscreen mode.